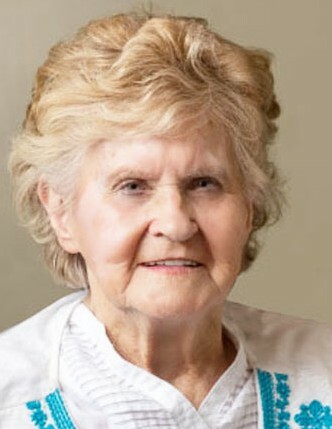 Our precious sister, aunt and friend passed away quietly on March 14th, 2019, at her home in Midvale, Utah, surrounded by her family and friends. Mary Lou Madsen Peterson (86) was born in Salt Lake City, Utah on August 30, 1932, the daughter of Harold Johannes and Helen Anna Sanders Madsen. She was the fifth of eight children. Mary worked hard all her life until she retired from the Desert Industries. Mary was fiercely independent but because of an injury as a small child she had to rely on many family and friends for help. She loved seeing and talking with family and friends and always had a heart full of gratitude for any help she received, thanking them multiple times. She had a love for the Grand Ole Opry and all the old songs. She adored her sister Janet and loved living with her in their little home. Mary was active in the Church of Jesus Christ of Latter-day Saints and enjoyed her ward and callings of greeter and passing out programs each Sunday. She was very devoted and brought smiles to everyone she met. She had the purest kind of love for her Savior Jesus Christ and Heavenly Father. With all her heart she would let everyone know how she felt. Her prayers were full of humility as she spoke to her Father in Heaven as if he were in the room. She married Leroy Miles Peterson on August 31, 1976. He passed away on May 5, 1977. Mary is preceded in death by her husband, Leroy Miles Peterson; parents, Harold J. and Helen Sanders Madsen; brothers, Harold S. Madsen (and wife Mona), Kenneth C. Madsen (and wife Ruth), Evan L. Madsen; sister, Janet Madsen Lemon; brothers-in-law, Eldon Kent Harward and Donald L. Shelton. She is survived by three sisters, Marilyn Madsen Shelton, Winifred Madsen (Harward) Stay (Bill), Miriam Madsen Chapin (Rod); sister-in-law, Darlene Madsen Harper (Richard); and numerous nieces and nephews. The family gratefully thanks Mary’s sisters Marilyn, Winnifred and Miriam for their love and care over the years. A heartfelt thanks goes to her faithful visiting teachers of 17 years, Sisters Miller and Davies, and to the Gates and all her ward family for their years of service to Mary. We want to also thank all the many family members who helped Mary by taking her grocery shopping, to the hair dresser, to Dr. appointments and anywhere she needed to go, and for the many repairs and maintenance done on her home. We want to give a special thanks to Lawana, Nikki and Rosalie for their loving care in the last 3½ months of her life, and for making it possible to fulfill her greatest desire of passing away in her own home. Thank you to her Salt Lake County case worker, Bright Star and Elevation Hospice for your help and care. Funeral services will be Saturday, March 23rd at 11 a.m. with a viewing one hour prior to the funeral at the Union Fort 7th Ward, 6710 S. 13th E., Midvale, Utah 84047. Interment will be in the Murray City Cemetery, Murray, Utah.